USAFA grads launch retreat facility in support of military widows. Read more and watch video below. The mournful call of a loon rises from Holbrook Lake and echoes up the hill toward a sprawling home. A small group of women, enjoying a bonfire that helps cut the chill from the evening air, pauses to appreciate the sounds and sights that envelop them. Here, in the heart of Minnesota lake country, military spouses who have lost loved ones in combat or training tragedies gather for a weekend of peace, understanding and, ultimately, healing. Their conversations — whether around the campfire, by the beach or at the dinner table — can range from painful memories to funny stories to ongoing life challenges. During their stay, the widows experience the full spectrum of emotions — joy, anger, grief, hope and frustration. And that’s just fine — Holbrook Farms Retreat is a safe place for these survivors to be honest and vulnerable. 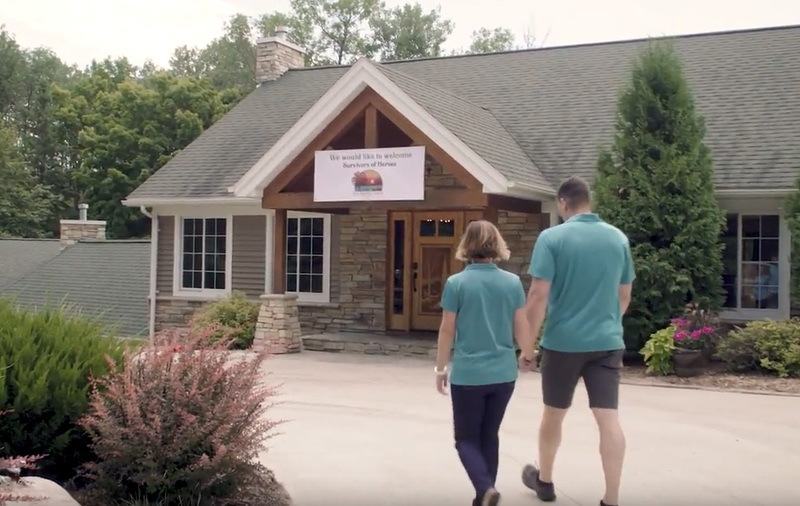 Lt. Col. Matt Brancato ’99 and Lt. Col. Micaela (Bentson) Brancato ’00 launched this lakeside retreat center in 2014, a full five years before they planned to open the facility to visitors. They kicked things off by hosting five military widows for a long weekend. Now in its fourth season, the “Survivors of Heroes Retreat” serves a handful of widows each year. Unfortunately, there’s a long waiting list of survivors who want to attend future retreats. “We didn’t realize how much need there was out there,” Matt admits. 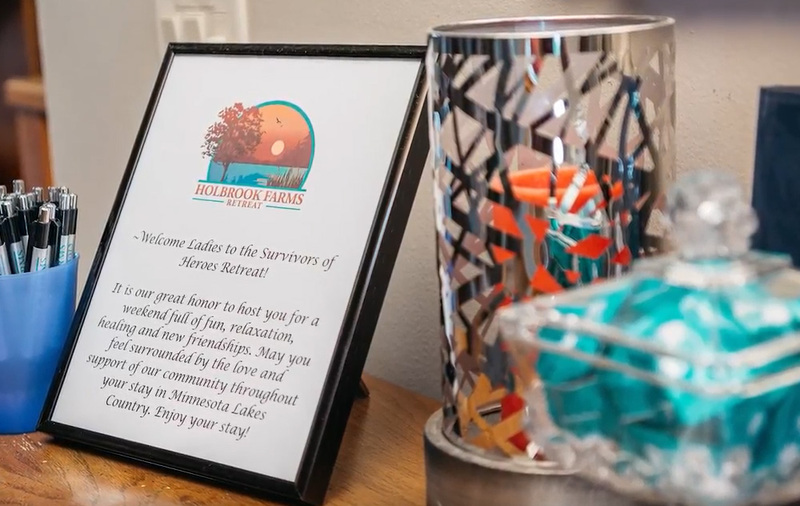 The survivor retreats are designed to pamper participants with boat rides, massages, home-cooked meals, movie nights and helpful speakers. There’s an agenda of events and recreational opportunities built into each weekend, but attendees can pick and choose what they want to participate in. If they want to stay up late and talk, it’s no problem. Sleep until noon? No one will question that choice. The only requirement — do what helps you relax and feel rejuvenated. While serving with the North Dakota Air Guard in 2010, the Brancatos were first introduced to the 47-acre maple sugar farm that would later become Holbrook Farms Retreat. The couple three times rejected the idea of buying the property. 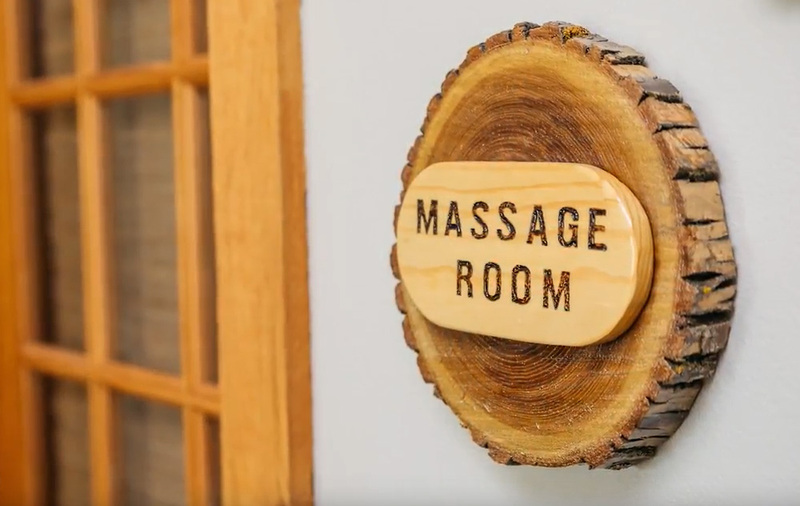 The couple purchased the cabin and surrounding property and started renovations on the facilities, not knowing how they would eventually utilize the lakefront setting in their post-Air Force careers. A few months later, in April 2011, Matt was notified that his fellow Class of 1999 classmate — David Brodeur — had been shot and killed in Afghanistan. Two months after that, in June 2011, fellow USAFA graduate Eric Ziegler ’03 died in an F-16 crash. Later, when Micaela had a chance to talk with Ziegler’s widow, Sarah Kotte Ziegler ’03, the idea for Holbrook Farms Retreat started to take root. When asked what helped her most during that season of grief, Sarah told the Brancatos that it was time at the lake. For the first time in five years, I’ve felt a sense of belonging again. Thank you for creating a space for us to connect, share, cry, laugh, grow and heal. I feel refreshed, energized and restored. Around that same time, the Brancatos launched a home-based business — Rodan+Fields skincare products — to gain some business experience and generate a little extra income. All of that extra money made from the business has been pumped back into Holbrook Farms Retreat. With the infusion of extra income, the Brancatos expanded their retreat facility and completed several upgrades. Then they opted to give their “Survivors of Heroes” idea a trial run in 2014. They were able to buy new furniture and beds to accommodate all the guests. Landscaping and other projects also were funded. The local community helped the Brancatos get up and running, volunteering their time to prepare the property for the military widows. The number of survivors served grew steadily over the first three years of the retreat — from five the first year to 13 in 2016. But in 2017, the retreat staff decided it should cap the number at 10 new participants and two returning participants who serve as facilitators. Holbrook Farms Retreat added a second retreat this year, inviting alumni from previous seasons back to the lake. During their return visit, the alums worked on several projects in preparation for the summer’s “Survivors of Heroes” gathering. Shortly before conducting their first retreat, the Brancatos reconnected with Gen. (Ret.) Mark Welsh ’76 — the commandant of cadets at USAFA when they were cadets — and Mrs. Welsh, while attending the TAPS (Tragedy Assistance Program for Survivors) annual gala in Washington, D.C. During this conversation, Gen. Welsh — then chief of staff of the Air Force — encouraged their efforts and asked for more information. “We couldn’t believe with everything the Chief of Staff has on his plate that he would have time,” Matt smiles. But Welsh immediately followed up afterwards and continued to follow the progress of the farm. That brief communication among fellow Academy grads eventually led to a job at the Pentagon for Micaela — working for the chief of staff’s Commander’s Action Group (CAG). Matt landed a spot with the National Guard Bureau at Joint Base Andrews. The Brancatos say their time in D.C. was fortuitous because they learned a lot about establishing a nonprofit, raising funds and making connections that will help Holbrook Farms Retreat grow and thrive. They also have been able to connect with fellow USAFA grads who have helped get the retreat center established and upgraded. In the future, the Brancatos hope to expand the gatherings offered at Holbrook Farms Retreat. The vision is to open up the facilities to wounded warriors, PTSD (post-traumatic stress disorder) survivors, firemen, police, and widows of other community heroes who have died in the line of duty. “This place is meant to be shared,” Micaela says. When not hosting retreats, Holbrook Farms is on the Vacation Rentals By Owner (VRBO) website and available for short- and long-term stays. The money generated by rentals helps to pay for facility improvements and retreat costs. Sarah (Kotte Ziegler) Merwin ’03 was one of the first survivors to attend a Holbrook gathering. Her first husband, Eric “Dirk” Ziegler ’03, died in an airplane crash. She now serves as the vice president of the Holbrook Farms Retreat Board of Directors and is also the Survivors of Heroes Retreat coordinator. An aircraft maintenance officer during her Air Force career, Merwin was a stay-at-home mom after her daughter, Anna, was born. The family was stationed at Nellis Air Force Base in Las Vegas when Eric’s aircraft went down during one of his final training flights. Sarah had tremendous support from family members and the Air Force community, so the healing progressed. But the grief she experienced from her loss never completely disappeared. That’s when her Air Force friend and fellow Fargo, North Dakota, native, Micaela, called and asked if she’d like to be part of the Holbrook planning team and attend the first retreat. Being able to spent time with other survivors helped Sarah discover a community of women who can support each other year round. Sarah now is thrilled to be part of the team that serves and pampers survivors at each retreat. Feedback from all of the retreat participants proves that Holbrook is a big help to those who attend. To stay connected after the retreats, alums can join a private Facebook page. The attendees also regularly talk via phone to share joys and concerns throughout the year. When Robyn Schornak attended her first retreat in 2015, she admits she had a lot of unresolved emotions penned up inside. It had been almost a decade since she’d lost her husband — Army Staff Sgt. Christopher Schornak — due to an insurgent ambush in Iraq. Robyn attended several memorial services in honor of her husband, but found the experiences too difficult. She would eventually decide to avoid anything to do with military, shielding her son and herself from painful memories. In 2013, Robyn would attend her first widows’ retreat put on by TAPS. It turned out to be a great experience. She would enroll her son in a retreat offered through A Soldier’s Child Foundation. Robyn would later get connected with Holbrook Farms Retreat. She would attend the retreat with one of her friends — another survivor. An early highlight from the weekend was having Matt Brancato carry each person’s luggage to their bedroom. By the time the weekend was over, Robyn says strong friendships were formed and an emotional connection with Holbrook was established. When she made it home, Robyn immediately called fellow survivors and encouraged them to apply for the next season. 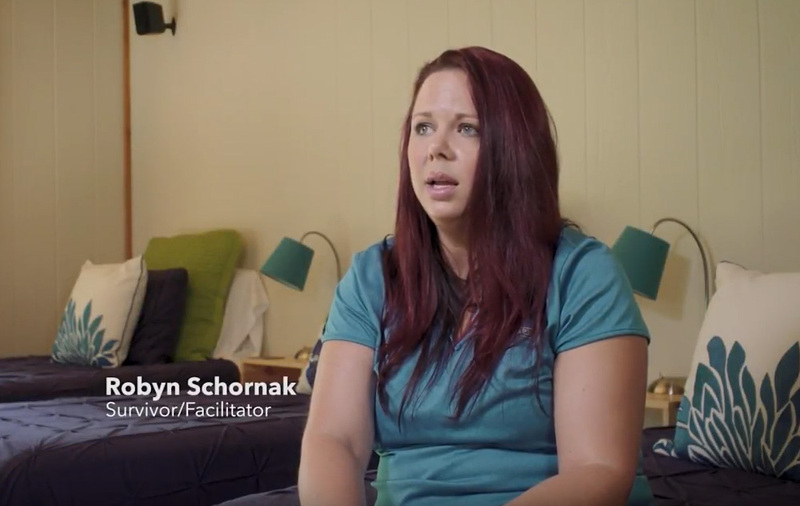 This past summer, Robyn returned to Holbrook twice — once for the alumni retreat and a second time to serve as a facilitator at the “Survivors of Heroes” retreat. These days, she thoroughly enjoys the opportunity to pamper fellow survivors during the weekend gatherings and to lend a sympathetic ear to those who are hurting. Lt. Col. Jen (Schiessler) Fuller ’99, who is currently assigned as a speechwriter at the Pentagon, served as a volunteer at this summer’s retreat. She heard about Holbrook while working with Micaela in D.C.
A former C-130 pilot, Fuller was assigned a number of jobs at Holbrook during the long weekend — including meal preparation, cleanup and odd jobs. From July 20 to 24, 2017, a total of 12 women attended the fourth Survivors of Heroes retreat — 10 new attendees from Texas, Florida, Massachusetts, Washington, D.C., and Minnesota and two facilitators and retreat alums from Tennessee and Texas. According to Sarah, the entire weekend turned out perfectly, including the special speakers who talked about family finances and “Healing Through Writing” — a helpful journaling class. “We all end the weekend physically and emotionally exhausted, but filled up more than ever,” she says. “I come out of the weekend still more healed and more positive than before. For more information about Holbrook Farms Retreat and the Survivors of Heroes Retreats, visit www.holbrookfarmsmn.com.